A debut film by this Iranian artist is something that’s easy to eagerly anticipate. 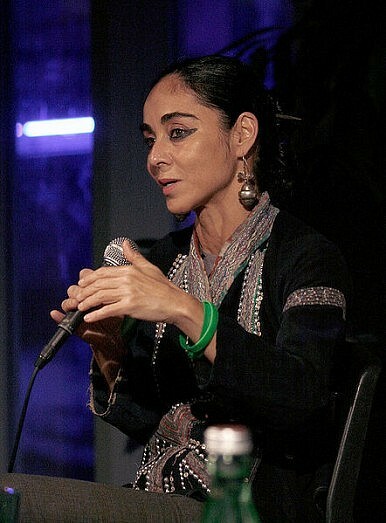 I really like Shirin Neshat as a photographer. Her ‘Women of Allah’ series, from over a decade ago, consists of often stark black-and-white photos taken in her native Iran between 1993 and 1997. And even today, looking through them again, I’m surprised how the underlying deeper political and social context of the photos can melt away—so aesthetically pleasing some of the images are to me (although the subtext of her work obviously shouldn’t be disregarded.) 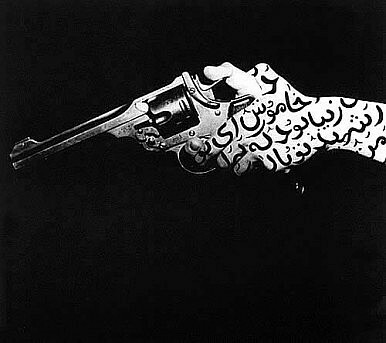 My favourite remains a profile shot of a hand on a pitch-black background, covered in bold verses of feminist poetry and clutching a gun. Recently Neshat, a New York resident who can no longer return to Iran for security reasons due to her line of work, has released a film titled Women Without Men, which has just debuted in North America, and is garnering quite a bit of media attention. (Last year it won the best director’s award at the prestigious Venice Film Festival). The film is being described as a sort of art house film, its strengths lying in powerful imagery, with the historical backdrop of the 1953 coup d’état in Iran. The plot revolves around four female characters struggling for independence in those turbulent and perilous times. Strangely, in Alexander’s words, I can find reason to expect liking it, personally. For even if the plot doesn’t grip me, I trust that Neshat will deliver the kinds of powerful and aesthetically gripping frames she has as a photographer; which is enough to leave me satisfied. Iran may use a recent real-life news story as propaganda against its top Western nemesis.